Sezela No 4, Knebworth Park & Wintergreen Railway, 25 July 1976. Avonside 0-4-0T 1738 / 1915. 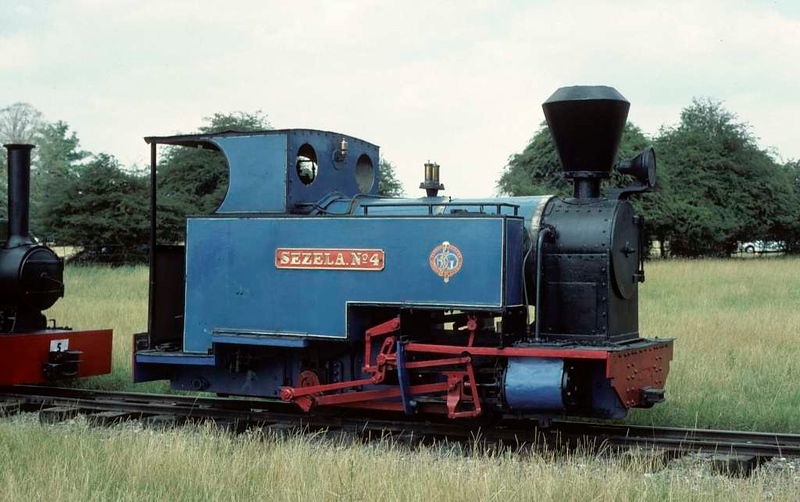 This loco came from the Sezela Estates, Natal, South Africa and subsequently moved to the Leighton Buzzard Light Railway where it remains in 2018. Photo by Les Tindall.